Freelancers, side hustlers, and independent workers making up the gig economy now total nearly 60 million people in the U.S. alone. The gig economy workforce is currently growing three times faster than the traditional U.S. workforce, and businesses should not expect this trend to slow down anytime soon. By 2027, half of U.S. workers are expected to be freelancers. The trend of utilizing independent contractors and freelancers in smaller companies and cash-strapped start-ups is changing. By leveraging the gig economy, Fortune 500 companies and midmarket companies are now more frequently outsourcing non-core tasks such as marketing, payroll, human resources, and procurement to gig workers in order to focus on what they do best. Utilizing gig workers allows companies to stay competitive by quickly assembling new teams and by scaling workforces as needed to respond to changing business goals. Another notable benefit is the ability to hire highly valued experts for specific projects. As a result, companies can expect a significant reduction in training costs and onboarding time. In 2019 and beyond, expect to see larger corporations turning more work over to freelancers. Given the entrepreneurial and tech-savvy nature of Millennials—those born between 1981 and 1996—it is not surprising that this generation is currently leading the way in the gig economy. So much so that 47 percent of this generation is now reportedly freelancing. However, a new, younger wave of digital natives is now graduating college and entering the workforce this year, with many also opting for freelancing instead of or along with a traditional job. Growing up with social connectivity, evolving mobile technology, and a growing gig economy has dramatically altered Gen Z’s view of traditional employment. This generation undoubtedly questions what it means to be an employee. They value on the job training, multiple roles within one place of employment, and the ability to select companies and projects that appeal to them. This expected influx of freelanced-focused young workers will pose unique challenges for businesses seeking to attract and retain top talent. As approximately 61 million Gen Z’ers enter the workforce in the upcoming years, hiring managers will need to prepare accordingly and adjust hiring and engagement strategies consistent with how these generations communicate and work. Given the growing desire for more flexibility at work, more companies can and will likely offer more gig positions to attract fresh talent. Companies will also need to develop and refine an inclusive workforce culture designed to keep these generations around. The concept of remote workers is nothing new. A more recent development, however, and one we expect to grow in 2019, are fully remote companies. Approximately 170 virtual companies currently operate in the United States, up from 26 in 2014. Remote companies generally lack a central headquarters and the bulk of staff work in a variety of locations, whether from home, a shared office space, or even the local Starbucks. And geographical constraints are no longer an issue for finding and collaborating with the best gig workers. This ability stems in part from the growing ability of employers to utilize technology tools such as Zoom, Slack, and Dropbox, among others. These tools allow employers to more effectively communicate with and to more accurately track the performance of distant remote workers. And what’s more, going “fully remote” provides the opportunity to attract top talent who fit the needs and interests of the company from virtually anywhere in the world. However, the fully remote model may not be for every company. A fully remote, gig-based business still lacks supervision over the individual (as opposed to the work) and cannot always transmit company culture as traditionally as other companies. 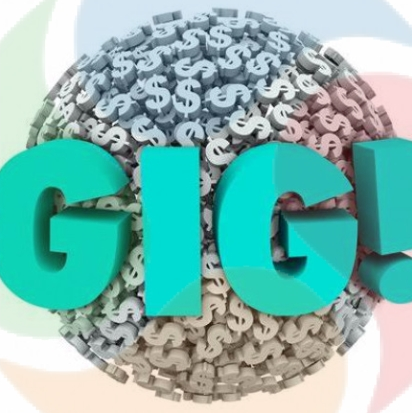 If a business is seeking assistance analyzing whether such a certain structure fits their needs or preparing for or adjusting to any of these new trends, they can reach out to a member of the Gig Economy Practice Group for assistance. Original article by Grant Wills.